The endless sunshine and picturesque desert landscapes await you in Arizona, to which visitors travel far and wide to experience the beauty and energy of cities like Phoenix and Scottsdale. These Arizona destinations are great spots for family getaways, as they provide ample activities and entertainment for children. If you want to stay at one of the best Phoenix resorts with water park slides, for instance, you should work with Vacatia to book your Arizona accommodations. 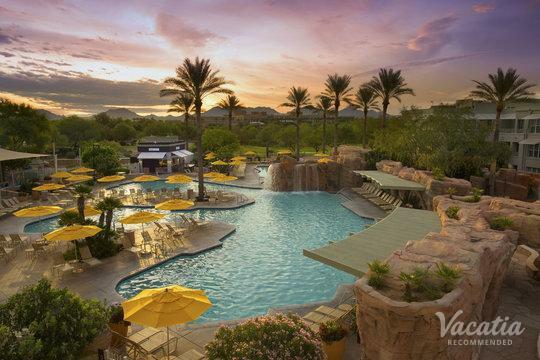 Vacatia can help you find the best family-friendly accommodation in Arizona, and you could book your stay at one of the best Scottsdale resorts with water park slides in a matter of minutes thanks to Vacatia. You could ensure that your entire family enjoys every moment of your time in Arizona when you let Vacatia take the reins and find the perfect vacation rental for your group. Once you have a great vacation rental in Phoenix or Scottsdale, you can relax and start daydreaming about your trip to this sun-soaked desert oasis. It's not every vacation that you get to stay at a resort with waterslides, which is why your family is sure to remember your Arizona vacation for years to come. 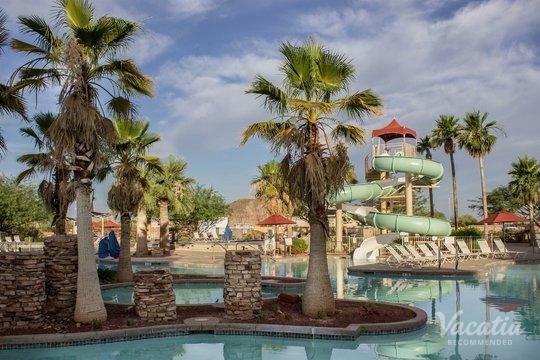 Vacatia can help you book your stay at one of the top Phoenix resorts with waterslide features, so you're sure to enjoy every moment of your time in Arizona. Vacatia's rental properties differ greatly from standard hotels, as they provide the space and comfort of a home as well as the services of a resort. Known as "resort residences," these Vacatia vacation rentals feature kitchens, added living areas, and desirable resort amenities. So after you spend the day in the Arizona sunshine, enjoying the beautiful natural surroundings and the wildly fun waterpark slides, you could return to your spacious, comfortable Vacatia rental property and unwind. Staying at a Vacatia property will greatly elevate the quality of your family trip, which is why you should work with Vacatia to find the best Scottsdale resorts with waterslide features. Vacatia can help you plan a vacation that your family will never forget. Arizona is a fantastic destination for families, as there is an abundance of things to do and see throughout Phoenix and Scottsdale that your entire family is sure to enjoy. From resorts with waterparks to beautiful hikes to lively city centers, your family is sure to love Arizona from the moment you arrive. During your stay in Arizona, you could partake in a range of outdoor activities, such as horseback riding, playing tennis, or even mountain biking. In addition, the year-round sunshine makes Arizona the perfect destination for those looking to relax poolside at your resort. 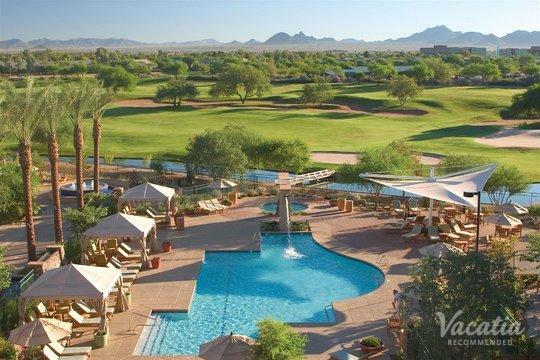 No matter what you have planned for your time in Phoenix or Scottsdale, you are sure to have an incredible getaway when you work with Vacatia to book your accommodations. Start planning your Arizona vacation now so that you can daydream of warm, sunny desert days and luxury resort amenities.